Warning! 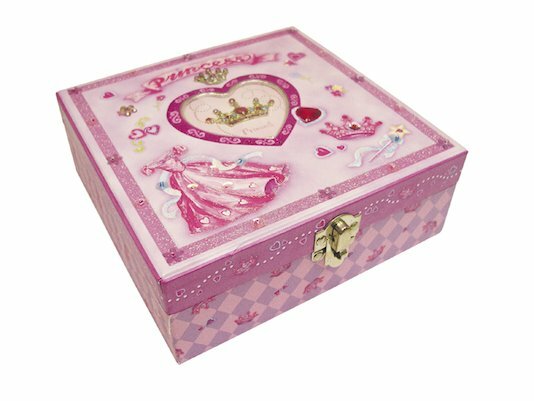 This treasure chest is only for princesses. Magic stops it opening for anybody else. But if you are the special one to whom this beautiful box belongs, just slide it open and gasp at the treasure-trove inside. Jewels, beads, a secret diary, glitter, stickers, a multi-colour pen… it’s a sight to take your breath away!